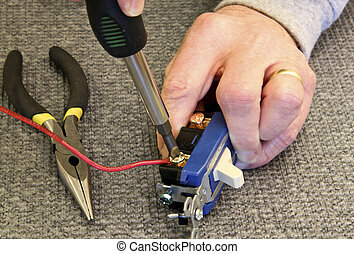 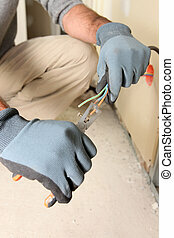 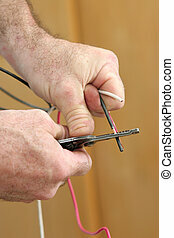 An electrician\\\'s hands using wire strippers to remove the insulation from copper wire. 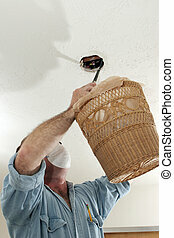 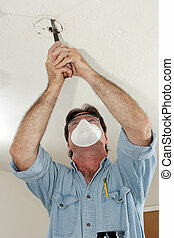 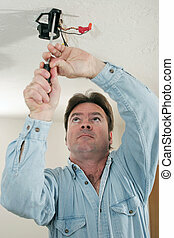 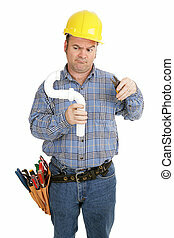 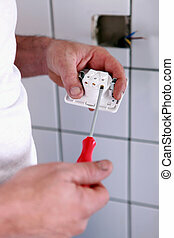 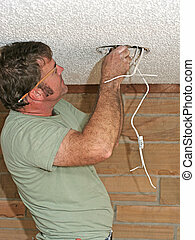 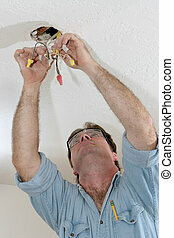 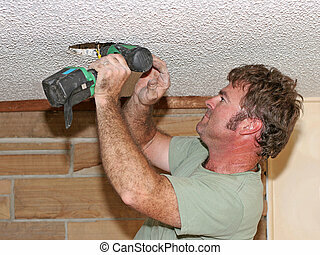 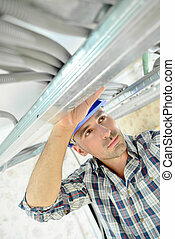 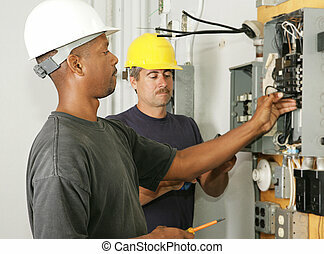 Work is being performed by a licensed master electrician in compliance with all National Electric Code standards. 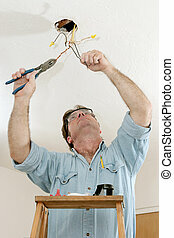 An electrician on a ladder using a pliers to separate wire. 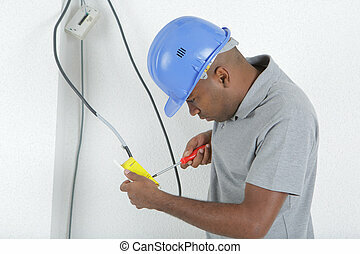 Work is being done to code by a licensed master electrician. 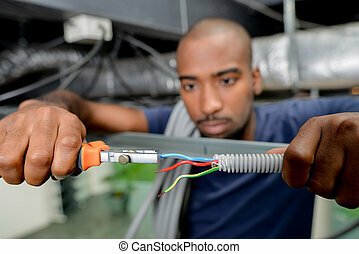 Electrician crimping a wire in an electrical panel. 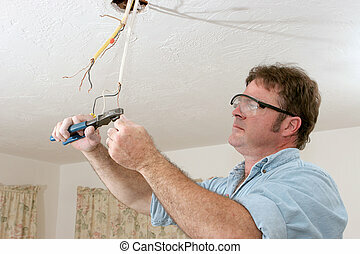 Model is actual electrician performing work according to industry code and safety standards. 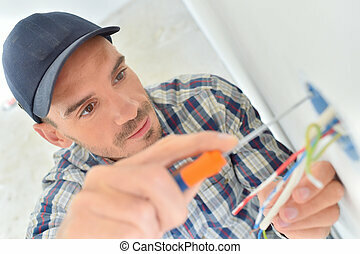 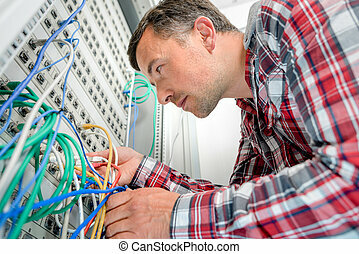 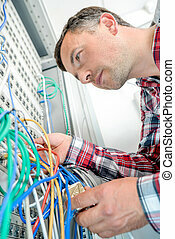 An electrician trimming wire as he hooks up an electrical panel. 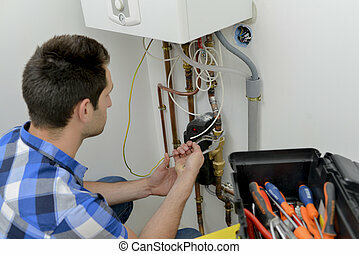 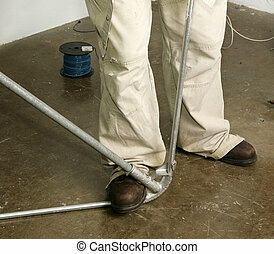 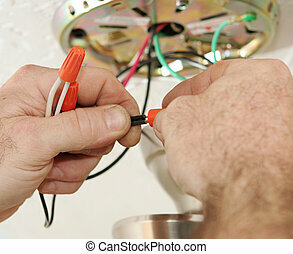 Model is an actual electrician and all work is being performed in accordance with industry code and safety standards. 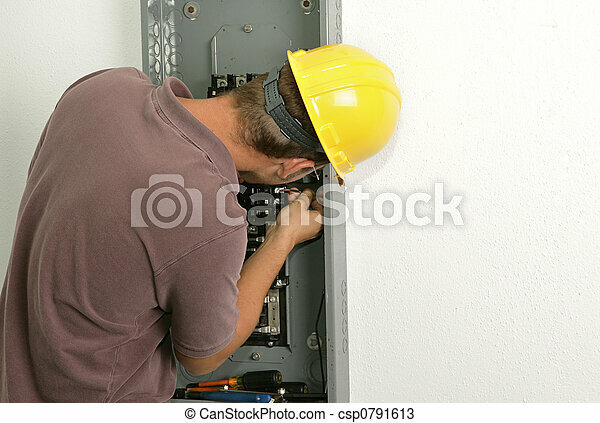 Actual electrician working on an industrial power distribution center. 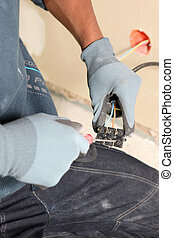 All work shown is being performed according to industry code and safety standards. 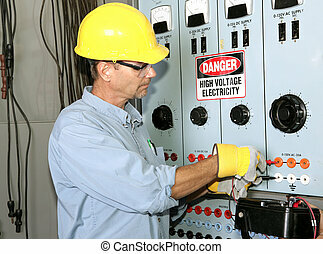 An electrician working on an industrial breaker panel. 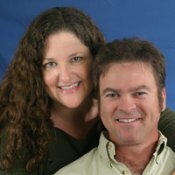 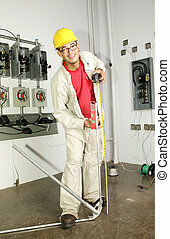 Model is an actual electrician performing all work to industry codes and safety standards. 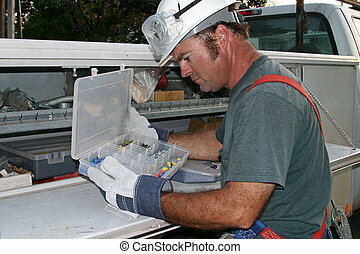 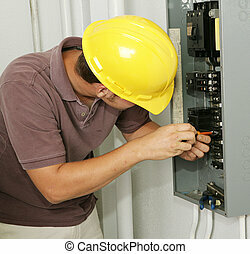 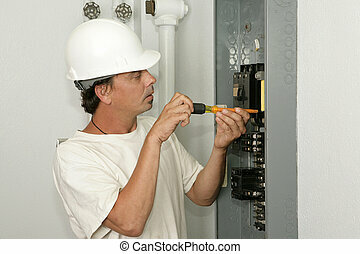 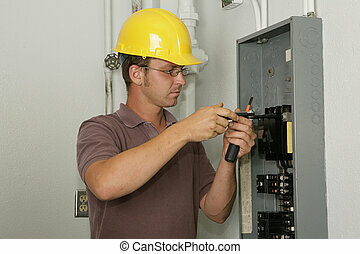 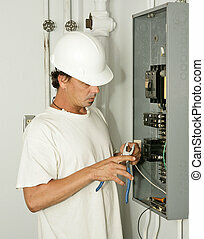 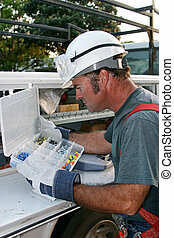 An electrician working on an electrical breaker panel. 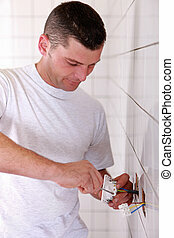 Model is an actual electrician - all work is being performed according to industry codes and safety standards. 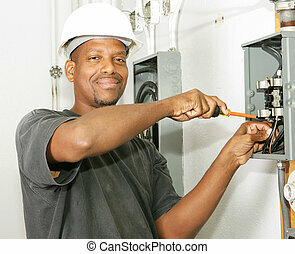 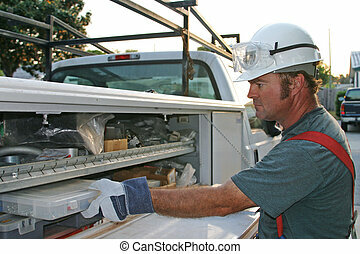 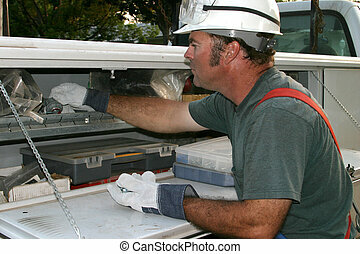 An electrician installing a breaker in an electric panel. 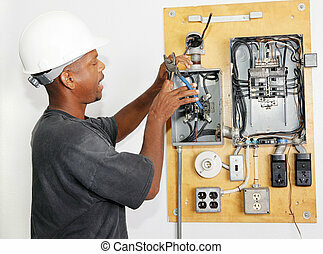 Model is an actual electrician and all work is being performed according to industry codes and safety practices. 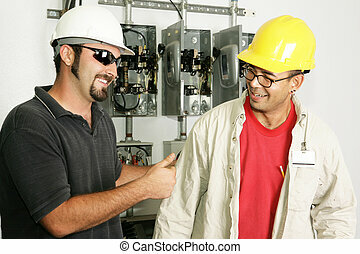 Electrical foreman giving a worker the thumbs-up. 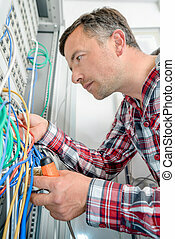 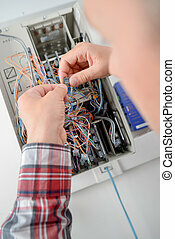 Models are actual electricians. 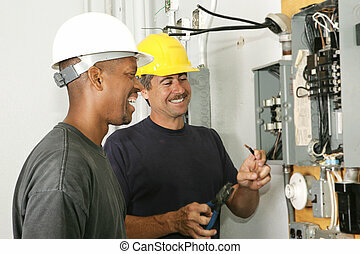 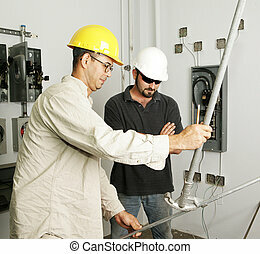 Two electricians working on an electrical panel together. 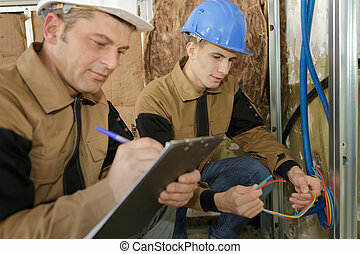 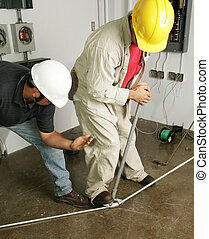 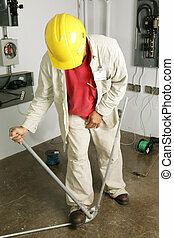 Actual electricians performing work according to industry code and safety standards.